Lens of the private telescope (Newtonian reflector) of Ionides, a Greek who lived in London. 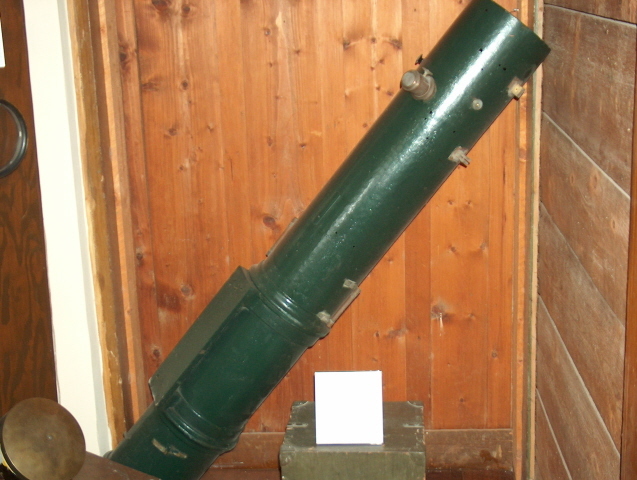 The telescope was given to the Observatory in 1891. A small telescope for an Observatory, but as it was provided with an astrostat and micrometer for double stars observations; it replaced in 1891 the refractor Ploesl at the dome of the Observatory.